The heist is done - now it's time to split the loot. Only one problem: Everyone has guns. Cash 'n Guns. 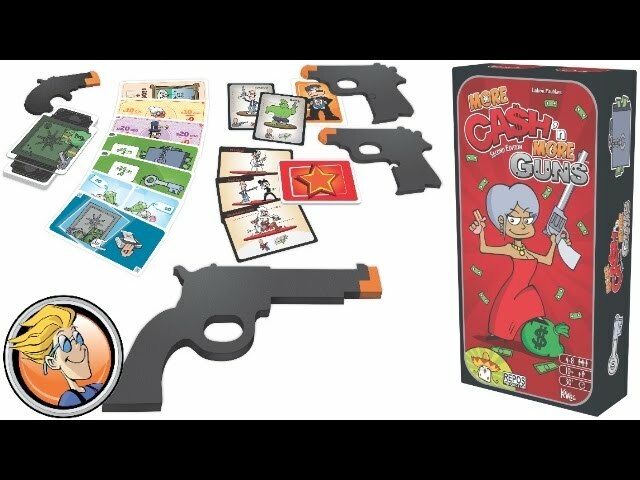 Cash 'n Guns is a lighthearted party board game where players point foam guns at each other in an attempt to get a bigger share of the earnings, aiming to have the highest total by the end. You can risk getting shot for a chance at the winnings - but you could also duck out and save your skin. Sure, money talks... but so do bullets. After eight rounds of Mexican style standoffs, players count up their diamonds, paintings, and currency - and the player with the most cash wins! Buy Cash 'n Guns for a great party game that's as fun as it is hilarious.